After a long time of hard work, most ninja get a second Nature element. While Naruto's first one is wind, I don't recall his second one being mentioned. What was Naruto's second nature ability? Naruto's natural affinity is Wind Release, which he learned from Asuma Sarutobi to flow into his weapons to increase their offensive might. Via Six Paths Sage Mode, Naruto can utilize all Five Nature Transformations, as well as Yin–Yang Release. He can make perfect use of the latter to revitalise life-forces, heal whomever he touches, and even restore missing organs. This ability, however, has its limits as he was unable to fully restore Might Guy's leg after his use of Night Guy, or save Obito Uchiha from Kaguya's All-Killing Ash Bones. 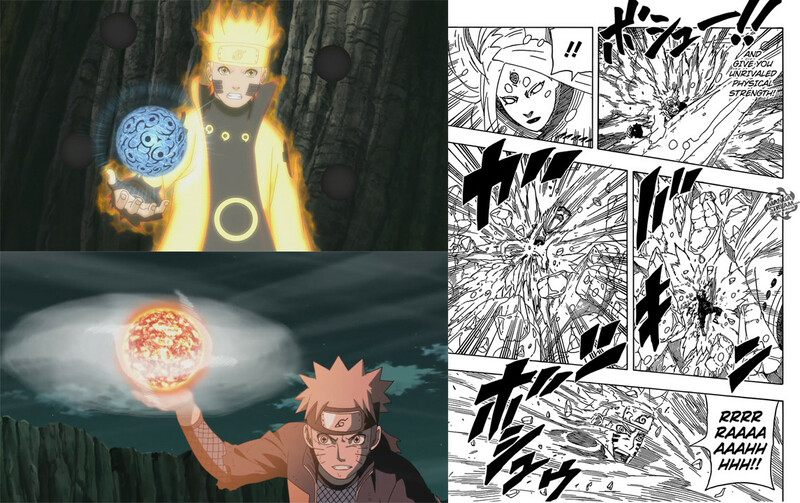 With chakra from the Tailed Beasts, Naruto can also use Kekkei Genkai such as the Magnet Release, Lava Release, and Boil Release from Shukaku, Son Gokū, and Kokuō, respectively. Every ninja has at least two elements; Kekkei Genkai and Tota excluded as those have elements that combine to make a release form. Naruto's second element while training with Yamato and Kakashi before learning sage mode, my guess would be water. Water beats Fire, wind beats lightning which is why in their clash on the rooftop the Rasengan did more damage than the Chidori, putting aside the fact the Chidori was meant to be a one-hit kill as lightning enhances your speed and striking power while wind enables you to cut better as with Asuma's knives cloaked in wind chakra. Do ninjas have extended lifespans? What was Kakuzu's original chakra nature element? How could Sasuke match Lee's speed? Why couldn't the Dark Release: Inhaling Maw absorb Rasen Shuriken Technique ? At what point did the Kurama stop sucking Naruto's chakra?